At first the football structure stayed the same although some manufacturers did alter the shape of the panels. During the war years a carcass was introduced between the bladder and the leather cover. This was made of tough cloth which both strengthened the design as well as improved the ball shape. Wartime shortages however meant balls were made from inferior leather which weakened the ball causing them to deflate and sometimes burst with use. 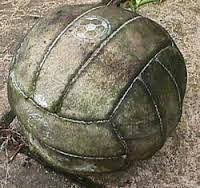 Lack of suitable water proofing also resulted in the ball increasing in weight during play in adverse weather conditions. This matter was not overcome until the introduction of synthetic paints to waterproof the leather covers. One other innovation was the introduction of a new type of valve to eliminate the laced slit on soccer balls. Coloured balls (usually whitewashed) were used as early as 1892. These were not recognized as official and it took until 1951 before an official white ball was first permitted. 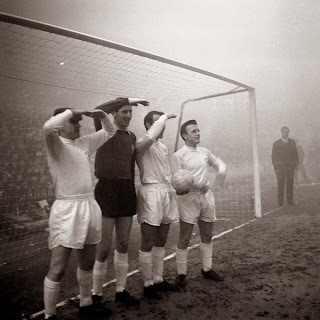 This coincided with the introduction of floodlights and allowed spectators to see the ball easier. 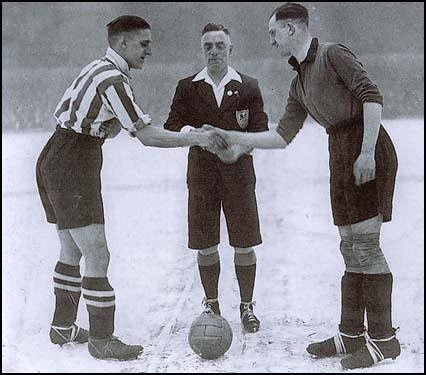 Orange coloured balls were later introduced to help see the ball in the snow. In the early days of international soccer, different countries favored different types of soccer ball. This caused much controversy. The introduction of International Board set up by FIFA standardised all aspects of the game including size weight and type of ball. By the 60s the first totally synthetic ball was produced. Ball covers were made from PU (polyurethane) and PVC (poly vinyl chloride). Best soccer balls used in competition and by professionals were produced by using PU synthetic leather. Promotional soccer balls or practice balls were constructed with Polyvinyl Chloride (PVC) or rubber (molded or stitched) covers. Panels were either; stitched, glued or thermally molded together. 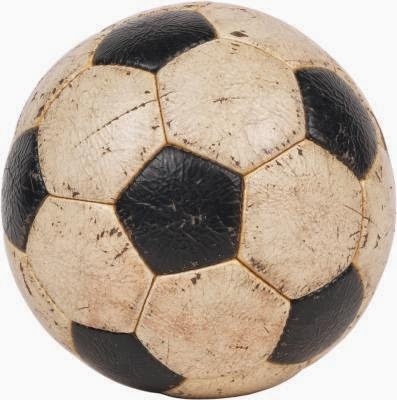 At first many felt leather soccer balls provided better bounce and more consistent flight in the air. Eventually by the late 1980's synthetic leather had totally replaced the leather ball. Synthetics used in today's soccer balls emulate the cell structure and quality of leather with less water absorption. The structure of the modern football came from a most unlikely source. 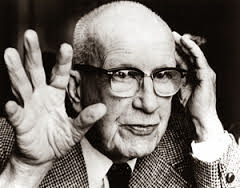 American architect and innovator Richard Buckminster Fuller (1895 – 1983) was involved with constructing buildings using a minimum of materials. In the late 40s he developed the intrinsic mathematics of a dome and applied it to a spherical structure called the geodesic dome. Dr. Walther Bauersfeld had previously constructed a similar dome some 30 years earlier but Fuller was awarded United States patents and is credited for popularizing this type of structure. A geodesic dome is a spherical or partial-spherical shell structure or lattice shell based on a network of great circles (geodesics) on the surface of a sphere. The geodesics intersect to form triangular elements that have local triangular rigidity and also distribute the stress across the structure. Buckminster Fuller erected his first geodesic dome building that could sustain its own weight with no practical limits in 1949.The dome was successfully adopted for specialized uses, such as the modern soccer ball. Modern soccer balls are made of synthetic leather panels sown together in a design based on the geodesic dome. The shape is a series of hexagons, pentagons and triangles, which can be fitted together to make a round surface. The modern ball consists of 20 hexagonal (six sided) and 12 pentagonal (five sided) surfaces. When they are sewn together and inflated they make a near perfect sphere or spherical polyhedron analog to the truncated icosahedrons. Balls made with fewer panels generally are easier to curve when kicked because of less stability to the cover. Black patches on the otherwise white ball helped players to perceive any swerve on the ball. The first 32-panel ball was marketed by Select in the 1950s in Denmark. The first "official" FIFA world cup Buckminster type soccer ball was the Adidas Telstar used in the 1970 world cup at Mexico. By the end of the 20th century bladders were made from latex or butyl. The latter is considered to retain air for longer periods of time. Latex bladders do provide better surface tension but overall butyl bladders were thought to offer the ideal combination of contact quality and air retention. The material thickness of hand sewn balls was increased with multiple layers of lining placed between the cover and the bladder. Composed of laminated layers of polyester and/or cotton bonded to give the ball added strength, structure and bounce. Professional soccer balls usually had four or more layers of lining. Promotional or practice balls were constructed with less layers of lining. Many balls now include a foam layer for added cushioning and ball control. Butyl valves replaced traditional valves for air retention. Higher grade competition balls had silicone-treated valve for superior performance.